Southeast Health’s orthopedic program provides specialized orthopedic and rehabilitation services to patients of all ages. We help patients with physical disabilities achieve optimal mobility and performance, so that they may enjoy life to the fullest degree possible. Southeast Health’s Orthopedic Center provides high quality care in a supportive and caring environment. The patient experience is enhanced in our orthopedic unit and supported by specially trained team members who have advanced certification in orthopedic care. A geriatric fracture program addresses the specific needs of our senior patients. For more information about orthopedic services, call Southeast Health at 334-793-8111. Joint replacement is needed when severe pain inhibits your mobility. Joint replacement surgery is most common in knees and hips. Southeast Health takes a comprehensive approach to joint replacement with the goal of helping you regain independence by returning to work and other daily activities with little or no pain. Patient health, comfort and recovery are our top priorities. 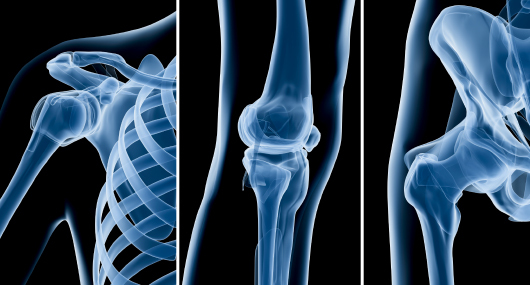 Each patient is treated by a team of professionals who are specialists in total joint care. Every detail, from pre-operative teaching to post-operative exercising, is considered and reviewed with you. A Joint Care Case Manager will plan an individualized treatment program and help guide patients through the program. Each patient’s team includes the director of Orthopedics, physicians and nurses, the Joint Center coordinator, orthopedic case managers, physical therapists and occupational therapists, all of whom specialize in total joint care. Your personal care team will work with you and your family/caregiver(s) in helping you achieve the best possible outcome from joint surgery. Southeast Health is also a participant in the new Medicare Comprehensive Care for Joint Replacement Model. For more information on this program and a list of the physicians participating, click here. For more information on our CJR Collaborators selection policy, click here. At Southeast Health, we specialize in treating knees – whether it’s an ACL injury, a meniscal tear, posterior cruciate ligament injury, runner’s knee or arthritis. Our physicians specialize in getting you back on your feet. The shoulder is vulnerable to all kinds of strains, tears and stresses. Whether it’s shoulder pain, a rotator cuff tear, or arthritis of the shoulder, we have the means, staff and skill set to deal with the problem quickly and effectively. More than 35,000 people fracture a hip every year. And beyond that, other maladies like inflammatory arthritis of the hip and osteoarthritis of the hip are common. Our caring team develops a plan to address reducing pain and increasing the range of movement. We also help with coordinating a total hip replacement when necessary. The anterior or frontal approach to total hip replacement has gained in popularity among surgeons and patients who see it as less invasive, with a quicker recovery period compared to traditional hip replacement. The anterior approach allows for hip muscles to be moved out of the way instead of cut; the replacement of joint cartilage and bone is performed by going between the hip muscles that help hold the hip joint in place. Smaller incisions, which can be glued and not stitched or stapled, are possible, and the procedure spares muscle tissue and results in fewer complications such as dislocation of the new ball joint. Leaving the muscle intact provides greater joint stability. The procedure is appropriate for patients who are active and eager to return to work and their daily activities as quickly as possible. It is not recommended for obese patients or those with conditions that don’t allow manipulating the hip without cutting muscles. Hip replacement is a surgical procedure to replace a worn out or damaged hip with an artificial joint (prosthesis). This surgery may be considered following a hip fracture or for someone who has severe pain due to arthritis. Hip replacement may become necessary if activities such as walking, sitting, or even resting become painful. The goal of hip replacement surgery is to replace the parts of the hip joint that have been damaged and to relieve hip pain that cannot be controlled by other treatments. Southeast Health’s orthopedic surgery education program will help prepare patients and their caregivers. Our innovative approach has been successful in reducing recovery time and helping you return to daily activities. Preparation begins before admission, with an orthopedic case manager, a physical therapist and an occupational therapist preparing you for what to expect during your hospital stay. They also help patients and families prepare for recovering at home, with recommendations for adaptive equipment, rehabilitation exercises, fall prevention and other issues related to recovery. You may be admitted to the hospital through the Emergency Department or by physician referral. Streamlined admission processes ensure that you receive care as quickly as possible. Effective pain management is one of our primary goals from your arrival. In addition to pain management, we recommend timely surgical treatment, when necessary to relieve pain. We take surgery very seriously, and exhaust all other available forms of treatment first. In the event that surgery is required, it’s important to know that you or your loved ones are in the hands of some of the most skilled orthopedic surgeons in the Southeast. Our anesthesiologists and certified registered nurse anesthetists are highly skilled specialists in treating orthopedic patients. Anesthesia may be general or spinal. The anesthesiologist, with input from you, your family and physicians, chooses the most appropriate aesthetic. Rehab is an important aspect of post-operative recovery, and is important to ensuring you return to a comfortable level of activity following surgery. We do everything possible to ensure a safe and easy recovery. Most patients are able to return home after surgery but you may require continued rehab, which is available through a variety of sources. Rehab services can be provided in the comfort of your own home. You may choose to travel to outpatient rehab facilities. If needed and recommended by the doctor, some patients may need rehab services while in a nursing home or rehab hospital. Case Management is available to assist you with any of these arrangements during your hospital stay. I wish everybody could have this type of surgery. I had no stitches or staples. The incision was glued. I know this procedure is different, but I feel like it was the Lord that got me through it all. I was able to get up and start going a week after surgery. I could do my own exercises and everything. I didn’t have any pain. I have a pool, so I am looking forward to swimming and getting out walking. Before the surgery, I was in pain. My children did my grocery and Christmas shopping because it hurt so bad for me to get up, sit down and walk. I gained weight because I couldn’t get around. It hurt to sit, stand, and get my leg in the car … there were lots of tears and frustration. Now I can go anywhere. I can go all over the store, get my groceries, go home and unload it and cook a meal. I haven’t been able to do that in some time. I am glad I had the anterior hip replacement. My daughter, who is a nurse, wanted me to have this kind of surgery. She said I would not have pain and she was right. We know pain in the bones and joints can be debilitating and can restrict or eliminate movement, activity, work or play. Our mission is to develop a prognosis that doesn’t just treat the problem area, but reduces your chances of future pain, sprains and discomfort. Physical therapy is a vital part of your recovery. Our physical therapists help you make the most of your rehab, assisting you with special exercises at recommended times. Our aim is always a return to full mobility.